,There are three species of peafowl green peafowl (Pavo muticus), Indian peafowl (Pavo cristatus) and Congo peafowl (Afropavo congensis). Green peafowl are the only endangered peafowl species in the world. The IUCN Red List of Threatened Species categorized Green peafowl as an “endangered species” in 2008. This was confirmed in 2012 and again in 2016. This status is a result of the species’ extremely swift dropping in population. The population of adult green peafowl is somewhere between 10,000 and 19,999 birds. 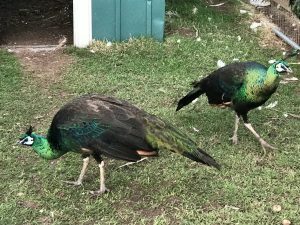 Making green peacocks endangered! Pavo muticus Green peafowl were once common and widespread. The species has undergone a serious decline and the only sizeable remaining populations are found in dry forests in Cambodia, Myanmar and Vietnam. There are smaller regional populations of Green Peafowl in western and northern Thailand. Also Green Peafowl are found in southern Laos, Annam in Vietnam, Yunnan in China and on Java in Indonesia. In India, individuals are occasionally encountered in Manipur. The Green Peafowl may be extinct elsewhere in north-east India and Bangladesh, and is extinct in Malaysia and peninsular Thailand. The population of Green Peafowl has declined dramatically during the 20th century leading to regional contraction and local extinction. This is attributed to disturbance of habitat. The good news is that in areas where habitat is protected the population is stable and well managed. The conservative population estimate for green peafowl is 5,000-10,000 individuals which was estimated in 1995. 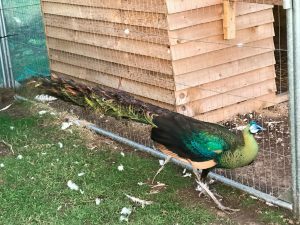 This figure was revised in 2016 to 10,000-19,999 mature individual green peafowl. Widespread hunting for meat and feathers, and collection of eggs and chicks has created the endangered problem. This is combined with loss of natural habitat and human interference. This has caused a catastrophic reduction in numbers throughout much of the species’ range. Urbanisation has created fragmentation which has consequently isolated many small populations of green peafowl, increasing their susceptibility to local extinction. However selective logging in some areas appears not to have had an effect on peafowl location. The Green Peafowl are regarded as a crop-pest by farmers in China and Thailand and are consequently poisoned. Humans however present the greatest threat to the Green Peafowl through hunting and loss of habitat.